Ben aka “INeedPeeling” is offering free business consulting in the eSports field. If you are aspiring to coach, starting a team, developing an app or service, trying to boost your subscriber base, or just want to work in eSports, you can visit his website at topscoresolutions.com, get him on Twitter @topscoreEsports, or join his Discord server. Ben has a Masters in Sport Management and business and marketing experience. His services are free, and they will stay that way as long as demand allows it. “The biggest changes after the patch is to the Support meta, which has shift from Mercy to Moira. Moira is more frequently being played as the main healer, with great win-rates and overall viability. The main challenge with using Moira of course is keeping teammates in range of primary heals, which is likely why we are also seeing Ana, Zenyatta, and (to some degree) Mercy. After the nerf, Mercy is still useful as a main healer, but her ultimate no longer has the incredible value it once was. “The support meta sees the biggest changes after the Mercy Valkyrie nerf. However, Mercy remains the top played support on Console, followed closely by Moira. Mercy still has the highest consistent healing output in the game right now, and Moira's area-of-effect heals are best suited for tight "deathball" style teams compositions such as triple/quad tanks, which are not that popular (yet). 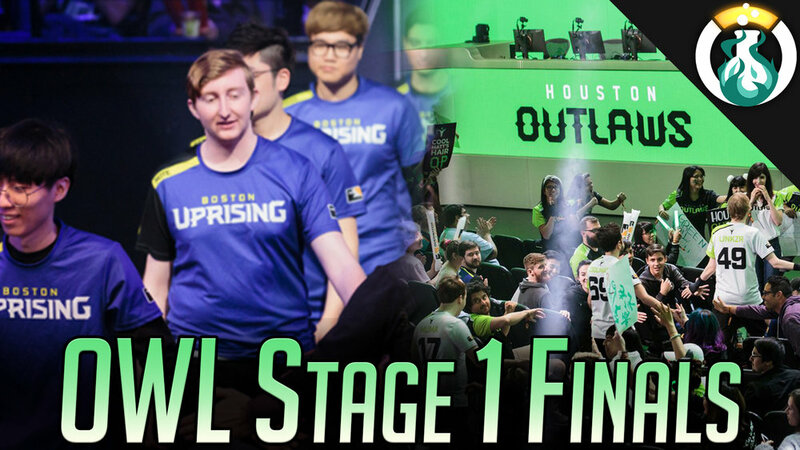 OWL Recap now up on it’s own feed! Ben K. Chrisdaplaya, Good Apollo, GoldenSoldierA, GreatRootBear, Kippppp, Lisome, Magic, Neverclutch, NotMeta, JanJinkle, RickyTicky, Shazear, & TopScore Solutions, TragicZac. Outlaws: Double Hitscan into Hitscan Junkrat on Attack. Pharmacy with Tracer on Defense, into McCree Junkrat. Uprising: Pharmacy into dive on Defense. Pharmacy into Dive on Attack. Outlaws: Attack: Widowmaker + Tracer Dive (fist Point). Pharah/Tracer + Reaper/Genji semi dive (second point). Defense: Soldier + Orisa + Junkrat into Genji + Junkrat Dive. Map 2 (Lighthouse): Outlaws: McCree + Tracer Dive, Uprising: Pharmacy + Tracer Dive. Uprising: Widow + Junkrat Defense into Dive. On Attack: Protect the president into Genji + Tracer Dive. Map 1 (Cont. Center): Outlaws: Reinhardt + Zarya + McCree + Junk. Uprising: Genji + Tracer Dive. Map 2 (Garden): Both Pharmacy + Tracer Dive. Then Jake to Junkrat and Dreamkazper to Genji. Map 3 (Night Market): Outlaws: Soldier + Tracer Dive. Uprising: Genji + Tracer Dive.